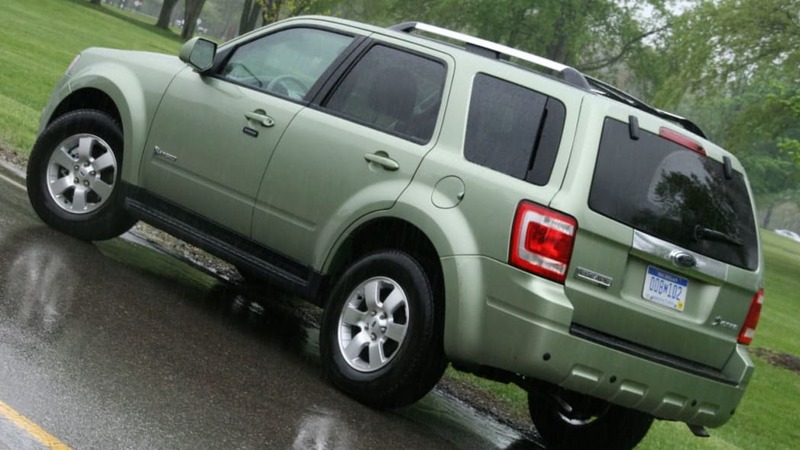 The 2008 redesign of the Ford Escape and Mercury Mariner wasn't the clean-sheet redesign Ford would like people to believe. In fact, only the parts visible to the naked eye were "all new." 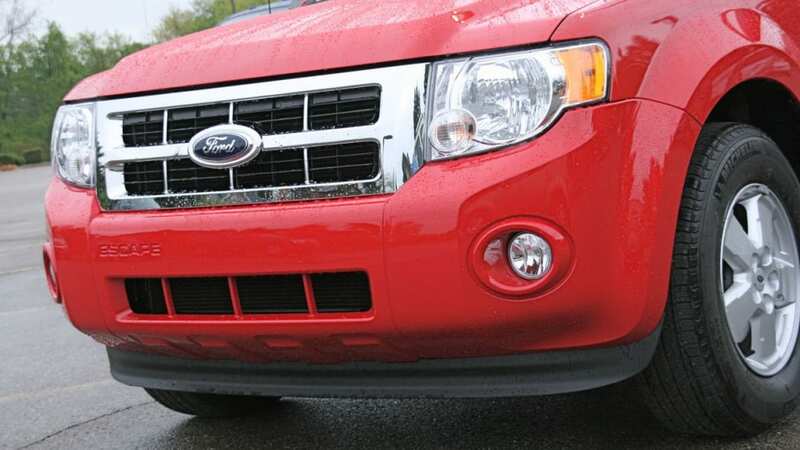 Aside from the body and interior, the working bits that make the badge-engineered duo go were almost entirely carried over from the 2007 models. 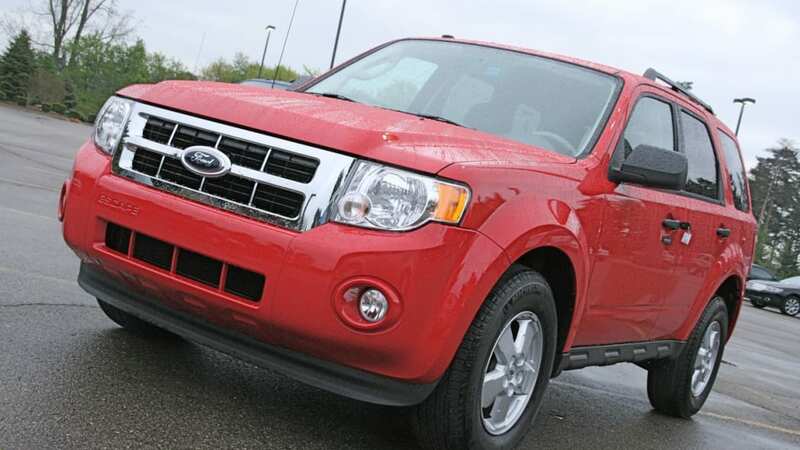 Fortunately for Ford, that oversight didn't seem to hurt sales, which increased by about ten-percent over their predecessors in a market that's down overall. For 2009, all the hardware under the skin has been either replaced or significantly refreshed. And that's a good thing. The old 2.3-liter four-pot has been superseded by a 2.5-liter unit, while the classic 3.0-liter Duratec V6 gets a major overhaul. Both engines receive a substantial boost in power and an all new six-speed gearbox to transmit it to the wheels. The driver's working environment also becomes a more pleasant place thanks to structural improvements to the body and Ford's next-generation navigation system with Sirius Travel Link. 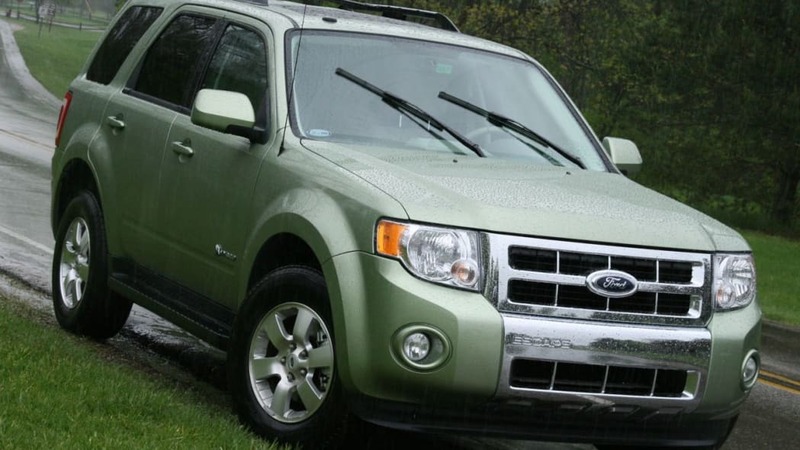 We got a chance to play with all of the 2009 Escape variants on a rainy spring morning, so read on after the jump for our impressions. 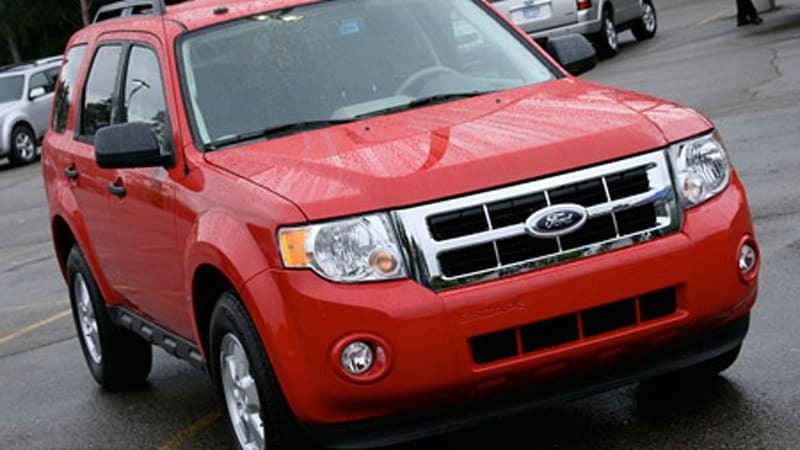 Last year, the Ford Escape had full-body cosmetic surgery and for 2009 it gets a heart transplant and double hip and knee replacement. 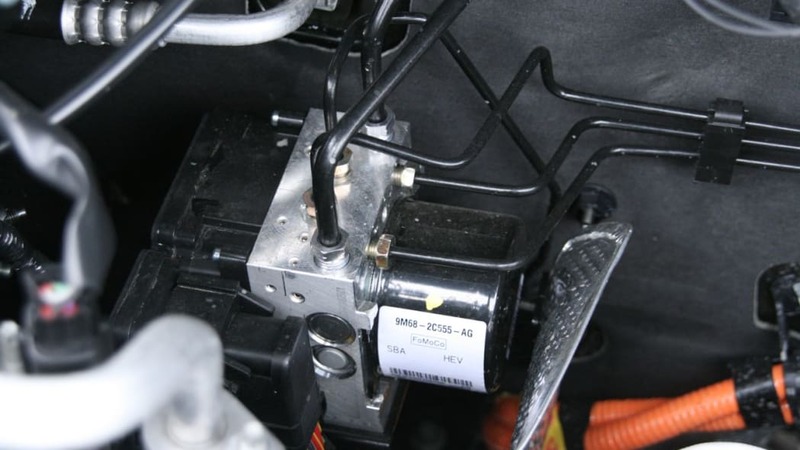 Both of the internal combustion engines now benefit from electronically controlled throttle (ETC) and variable timing of the intake camshaft (i-VCT). 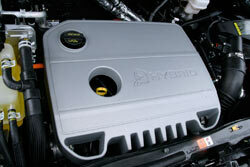 Additionally, the V6 gets new cylinder heads and camshafts for better breathing and a bump in compression to 10.3:1. That's enough to push output from 200 horsepower up to 240, with torque now up to 223 pound-feet. 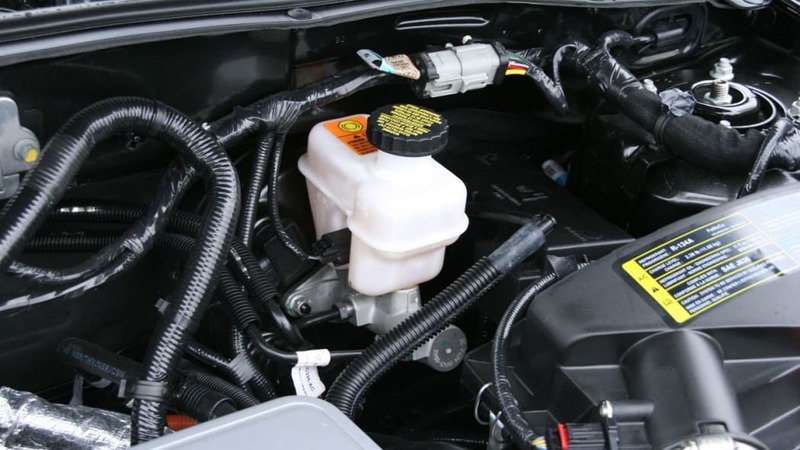 The new 2.5-liter four banger benefits from a larger cylinder bore and better breathing thanks to revised manifolds on both sides. 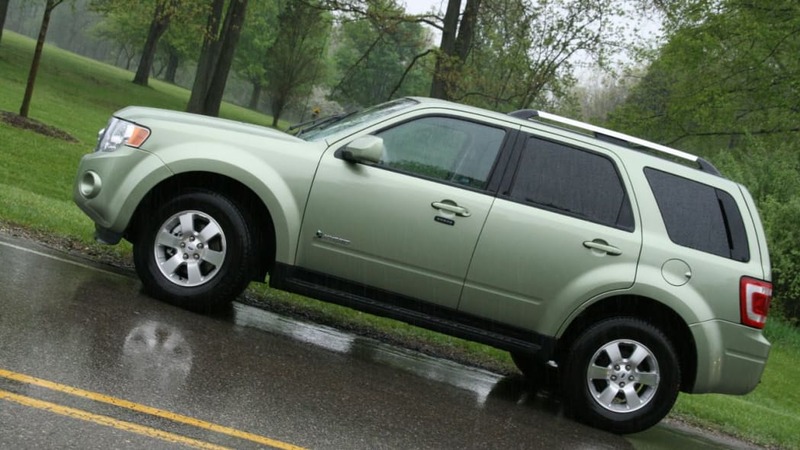 The base engine's output grows from 153 horsepower and 152 pound-feet to 171 hp and 171 lbs-ft, with that extra muscle allowing the compact CUV to reach 60 mph 1.7 seconds faster than the 2008 version. The four-cylinder is available with a five-speed manual transmission, although none of those were available during our first drive. 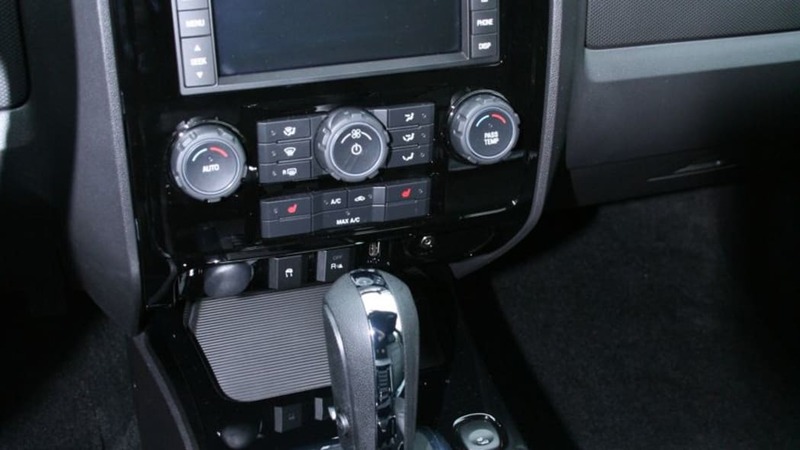 Most Escapes, however, are sold with the automatic cog swapper, and for '09 the old four-speed box has been replaced with the all-new 6F35 unit with two extra ratios. 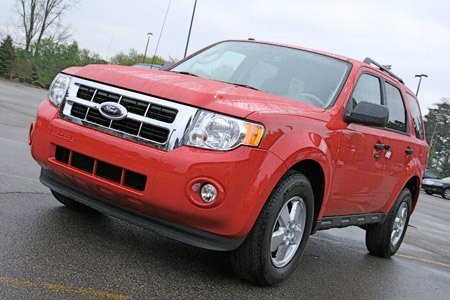 We looked at the new six-speed transmission last week, but this was our first opportunity to try it on the road. 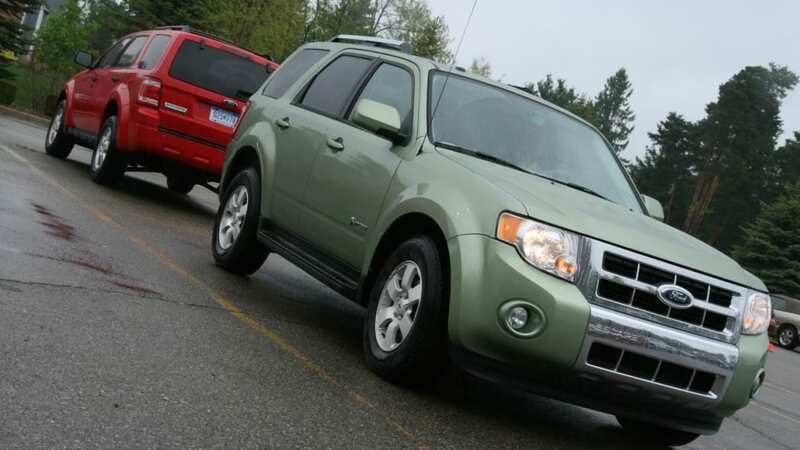 Ford provided us new Escapes equipped with both four- and six-cylinder engines with the six-speed automatic, along with a few 2008 models for comparison. The closer spaced gear ratios of the new transmission definitely help NVH in the Escape by reducing the rev drop during shifts. Those gear changes are also amazingly smooth. Both up and down shifts were almost seamless. 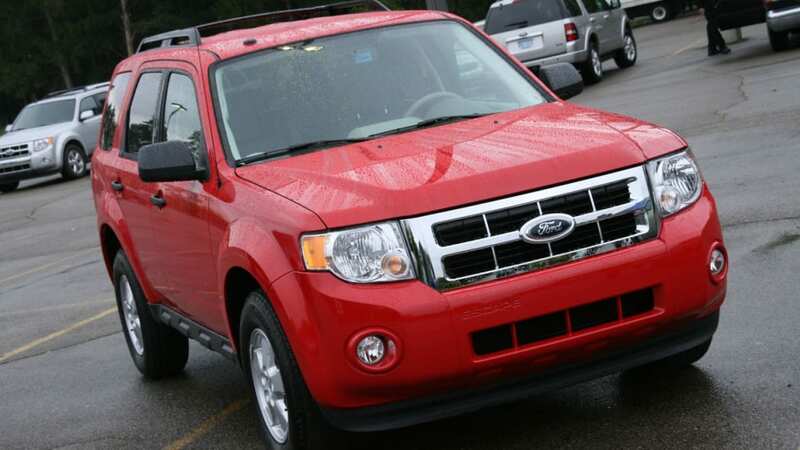 The structure of the Escape has been enhanced by shifting to more high strength steel in areas like the A-pillars and cross members. 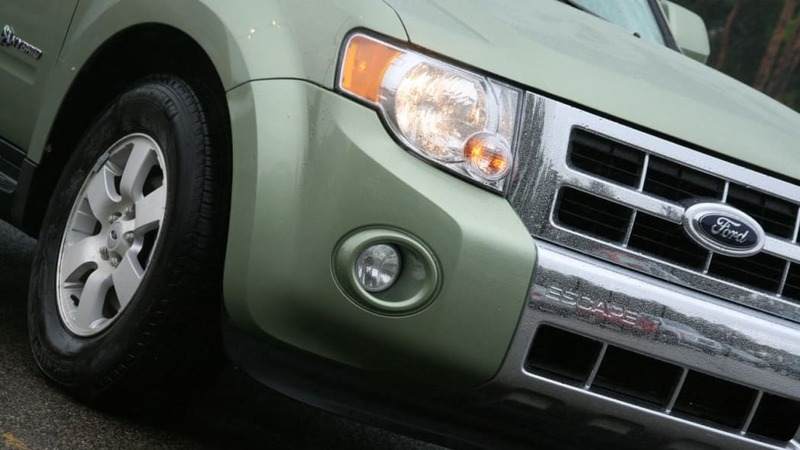 The more rigid body means less noise is transmitted through vibrations in the structure and from the road, also a major improvement over 2008 models. 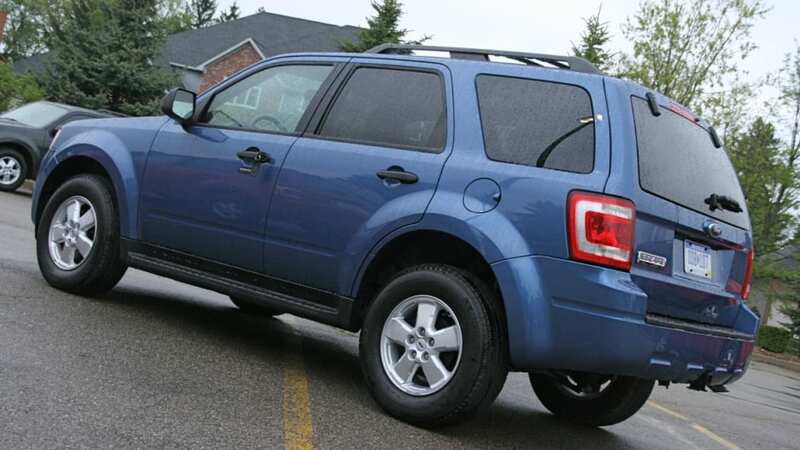 For the first time, the Escape gets a rear anti-roll bar, and combined with the re-tuned springs and dampers, as well as new tires, the handling of the CUV feels much more composed. 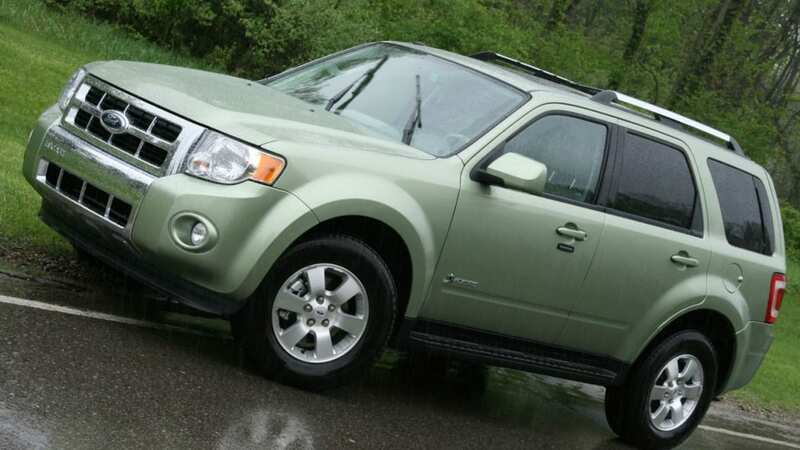 On some twisty roads west of Pinkney, MI the Escape felt surprisingly good with only moderate understeer and well-controlled body roll. 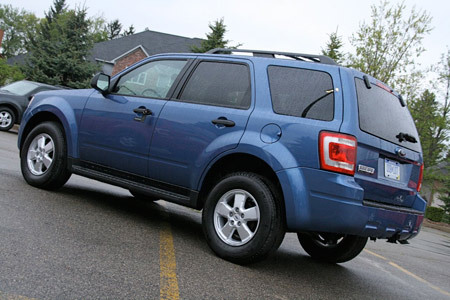 The only visual changes to the 2009 Escape are a deeper, wider front air dam and spats in front of the rear wheels on vehicles without running boards. 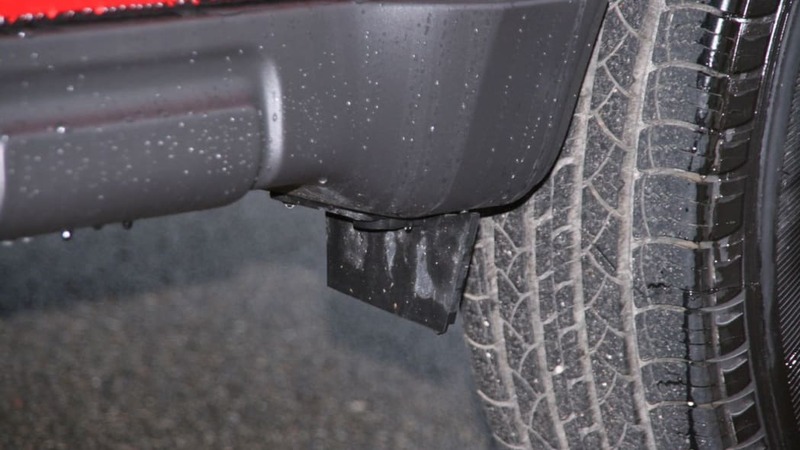 The air dam is said to contribute a 2/3mpg improvement at 70mph. 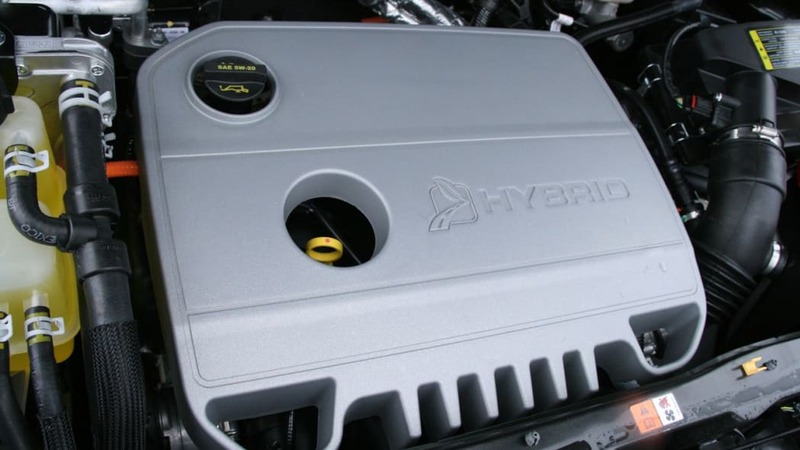 Overall the upgraded powertrain and aerodynamics yield a one-mpg improvement in both city and highway mileage for both engines. 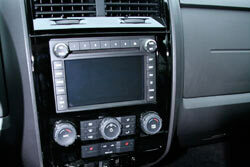 Inside the only real change is the new navigation system that includes Sirius Travel Link and a 10GB hard drive jukebox. The hybrid version, which we got to play with extensively, also gets the new 2.5-liter, but it's still paired with the same hybrid system. 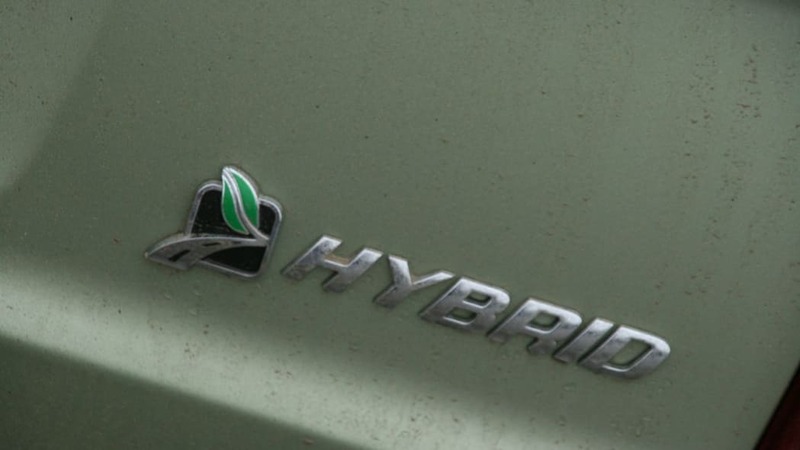 The hybrid controls have been re-calibrated for smoother performance, which you can read about over on AutoblogGreen.